Samantha graduated in May 2013 from Lawrence Technological University with her Bachelors of Science in Architecture. After graduation, she was awarded a yearlong fellowship position with the Challenge Detroit Fellowship program from a pool of over 700 applicants from across the globe. Through Challenge Detroit, she worked in collaboration with Detroit Area non-profits on community based projects, using her intellectual capital to help with the revitalization of the city and region. Following the fellowship year, Sami chose to pursue her Masters of Architecture degree at the University of Detroit Mercy, with an elected focus in Community Development, completing her degree in May 2016. Sami is now a passionate member of the team at Stantec in Berkley, MI. In her time at Stantec, she has been involved with planning, programming, design and technical aspects of projects in the education sector. She is most passionate when her role focused on the earliest stages of a project, including client engagement, programming, planning, and schematic design. 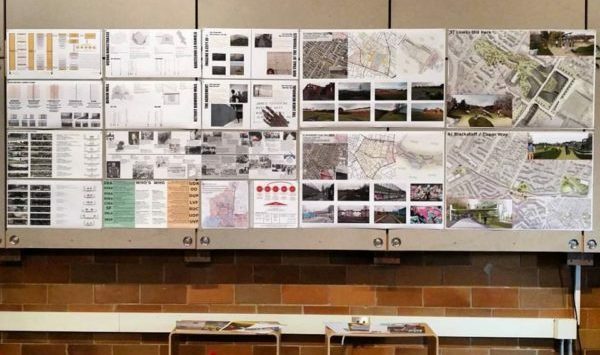 Prior to joining Stantec, Sami interned with the Detroit Collaborative Design Center, where she had the opportunity to engage in community focused projects in her very own neighborhood of Detroit. Sami’s passions lie in the “people” part of architecture, including socially conscious, community driven, projects and the engagement that is crucial to their success. She serves as the American Institute of Architects Associate Director for the Michigan Chapter, and the chair of the Lawrence Tech College of Architecture and Design Alumni Cabinet. 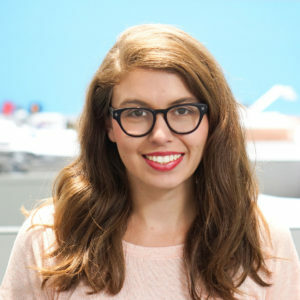 She has already received several awards and recognitions in her career, including the AIA Michigan Student Project Award, Women in Architecture Fund’s Emerging Professional Inspiration Award, and the Grace Lee Boggs Thesis Award for Public Interest Design. The most important tip I can give to those who are thinking about taking the ARE is to just to do it – you have to start somewhere! I’ve just recently started testing in ARE 5.0 myself, and have taken two of the tests. Regardless of pass or fail, its feels good to have at least taken the first steps and to have gone through the testing experience. I’ve found having a study partner for accountability, and setting myself little reminders to study have been helpful for me as well. I joined AIAS on a whim in my last year of undergrad, and as I do when I take on anything, jumped in with both feet, taking on the role of Vice President of Social Events for the Lawrence Tech chapter. Immediately upon graduation, I transitioned into AIA Associate Membership, where I joined the AIA Detroit Emerging Professionals Committee, of which I eventually became the chair. I’ve now taken on a similar role at the state level as the AIA Michigan Associate director. My AIAS experience really laid the foundation for me to take on many roles in which I can better serve the profession, something I am truly passionate about. The people I met in my year as an AIAS member are the same people who still surround me as my contemporaries as colleagues and fellow AIA members who likewise are passionate about service to the profession. My parents are responsible for raising me with the mindset that often gives millennials a negative label of entitlement – the idea that I can be or do anything I want if I work hard enough and stay dedicated to it. Its this way of thinking that has continuously pushed me towards my achievements. It was my yearlong experience as a Challenge Detroit fellow, and the opportunity it provided me to work with community organizations across Detroit that allowed me to find my true passion in this field. It is thoughtful, engaged, socially responsible design, and the individual and communities it impacts daily that continue to drive me forward in this profession. We each chance the world – for better or for worse – by how we effect change in our own communities. We can best change the world by continually making thoughtful and deliberate use of the tools we have available to us. For those of us in this profession, that is not only the ability to design beautiful, functional buildings. Our ability to think critically, act creatively, and incredible work ethic are assets in effecting change in so many more ways. I think the saying goes, “If you love your job, you’ll never work a day in your life.” While I’m far from perfect when it comes to work-life balance, finding a firm that has culture that fits my personal preferences and supports my aspirations outside of the office has definitely brought me closer to finding that balance. Every decision or action made has an influence on how you move forward. One of the simplest examples of this for me is the fact that I never pass up any opportunity to influence the profession for the better. I met my boss as she served on the advisory board for the dean of my School of Architecture. Because I was willing to take the time out of my schedule to speak with this group about my thoughts on the strengths and challenges of the Architecture program, I landed myself a job interview, and ultimately the position I hold now.